Five fire departments responded to the report early Saturday morning. 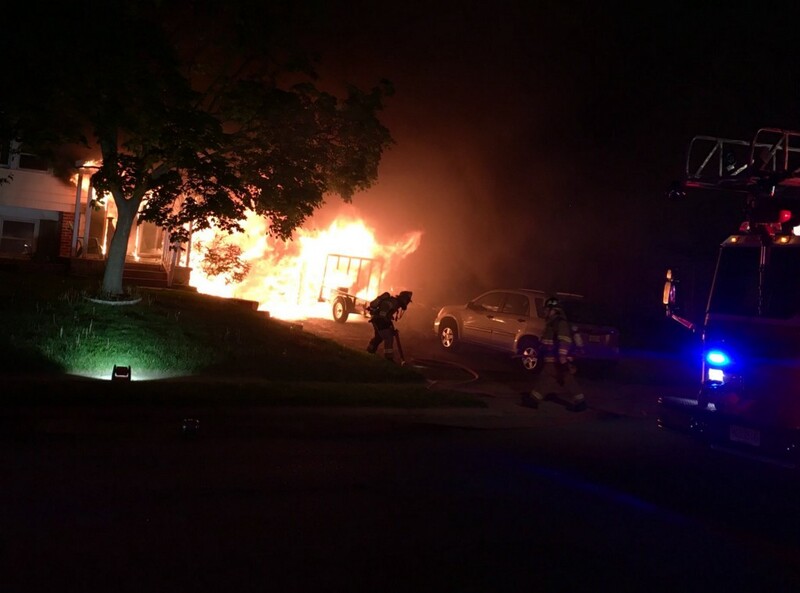 On Saturday, May 5, at approximately 4:48 a.m., the Gloucester Township Police responded to the 700 block of Upton Way for a report of flames coming from a garage. Upon officers arrival, the garage and basement were fully engulfed with flames. Fire departments responded from Chews Landing, Magnolia, Bellmawr, Deptford, Somerdale and Hi Nella, and a short time later, placed the fire under control. The GTEMS also responded and treated two firefighters for minor injuries and they declined any further medical care. Gloucester Township OEM and the Red Cross assisted the displaced family. This is a reminder to check your batteries in your smoke detectors and make sure they are operational. Smoke alarms are a key part of a home fire escape plan. When there is a fire, smoke spreads fast. Working smoke alarms give you early warning so you can get outside quickly.